The world is changing at a rapid pace and the classroom too has undergone significant transformation. Beyond the computer, what does Educational Technology look like and how and why is it invading classrooms across Australia! Come on an interactive journey as we explore the landscape, the tools and the outcomes of edtech in 2019! - Understand the edTech landscape in K-12 Education in 2019. - To get hands on with basic classroom technology. - To consider the library’s place in the edtech landscape and how library staff can assist both students and teachers on their future focused journey. Some practices were mediated by machines well before the digital age, like when ethnographers and folklorists used sound recording as part of their work. But for many oral historians working in the mid-twentieth century technology was just an interim step. Much was lost as complex human stories were boiled down to static narrative text. What can we do to better capture and reflect our complex age while still recognising the value of the written word? What possibilities are there for presenting our stories in interesting ways? What do we need to do to preserve the complex digital content that results? And how can we do all this in ways which creates connections across the GLAM sector? For participants able to bring laptops, the session will include activities related to network visualisations, digital storytelling, and connecting collections. Objectives: Provide participants with a historical perspective on the preservation and presentation of sound-based resources; and introduce people to some basic digital humanities tools and techniques for working with complex collections. Good services and programs are carefully designed to meet the needs of users and are proactively evaluated to foster continuous improvement. Research tools and strategies can help you to understand your users so that you can design products, programs and services that they want and need. These tools and strategies can also be used at the other end of the design lifecycle to help you evaluate your activities, which can help you to build on your successes (and avoid repeating failures! ), and help you tell the story of your organisation’s impact. In this workshop, we will draw from our experience with a range of methodologies to help you build an engagement toolkit full of practical research strategies. We’ll focus on ways to get to the heart of people’s experiences of information and technology. The toolkit you build will help you to understand your users, their needs, how they experience information and technology, and how they experience your services and programs. - Designing practical research strategies that support the development and evaluation of programs, products and services in information organisations. - Strategies for collecting evidence, with a focus on qualitative data. We’ll also look at how you can combine tools to maximize your understanding. Learn how to collect data that provides rich insights into human experience and stories that will help you demonstrate impact. - Strategies for analysing data. This will be a highly practical workshop designed specifically for information practitioners. Design Thinking is an interdisciplinary methodology that is increasingly used within organisations both large and small as a way of generating, prototyping, and testing ideas in a democratic way within teams by cutting out useless meetings and avoiding analysis paralysis. Initially used for product and service design, it is now being used by grassroots organisations and development agencies globally as a way of giving voice to all stakeholders, especially to solve so-called wicked problems, using a holistic systems thinking approach. Challenges can involve anything from societal challenges at large, to discrete user experience challenges within a specific context. The Design Thinking methodology is valuable both for researchers and practitioners as it is useful not just for generating research ideas, but also for tackling human-centred challenges, be that social challenges, organisational challenges, or challenges within your specific context. In this workshop, you will build creative confidence through a ‘learning by doing’ approach that includes lightning design jams and design sprints. Attendees are welcome to bring their own research topics, wicked problems, or other human-centred challenges they face within their organisations to brainstorm throughout the day or opt to join one of the LIS and GLAM related challenges on offer. Participants will work in topic-themed groups of five each and hence we welcome you also to bring along others from your organisation. This workshop will cover the five phases of the Design Thinking approach: empathy, problem definition, ideation, prototyping, and testing. We will also have teams pitching their ideas to a judging panel at the end of the day. Ethnographic data collection and analysis techniques allow librarians and information professionals to answer the more difficult questions of how and why individuals behave in different environments and how and why they choose specific technologies and resources to help them navigate their personal, professional, and academic lives. This workshop will provide an overview of ethnographic techniques, such as observation, mapping, diaries, and usability testing. Participants will be required to be actively involved in the workshop. These hands-on activities will enable participants to try different ethnographic techniques for studying their library users and potential users. In partnership with the ANU Library AARNet has tested out a digitisation workflow and a collection management model to enable access to a large (digitised) dataset for research. The workflow utilises CloudStor to support conventional collection management digitisation (digitised content is moved from vendor to collection site and also directly into cloud infrastructure). The model encompasses research oriented needs from collection digitisation and curatorial methods applied to bulk data handling, data movement and corpus construction. This workshop is for librarians, digital collection managers and data managers keen to extend their approach to digitisation and become practised in managing, moving and curating large datasets. This workshop will walk through an end to end workflow that operates entirely on the research and education network and cloud infrastructure and the digital curation practices that can be applied and augmented. Join us for the welcome to country, opening ceremony and presentation of ALIA awards. If the nineteenth century was about the evolution from mechanisation to industrialisation, and the twentieth century was about a move from electrification to computing; then we are surely in the midst of another significant shift from digitisation to a fully data-centric world. Some label this the 4th wave of industrialisation, with emergent technologies such as the Internet of Things, machine learning, artificial intelligence and autonomous systems, all taking advantage of rich data layers, and increased processing power. This emerging data-driven world suggests profound challenges and opportunities. New business models and new markets are appearing and disruptions seemed likely across markets, ecosystems and institutions, with the likelihood of profound social, cultural and political impacts. These emergent techno-economic transformations, like many of their predecessors, will then also be accompanied by a great deal of societal and cultural anxiety regarding economic impact, sustainability and trust. Of course these new technical systems also offer new ways to engage, delight and build, and new ways to imagine how we might be human in the 21st century. Proudly sponsored by Innovative Interfaces. Come sit with us by the virtual campfire. Share a story over an augmented biscuit or two, discover how to play the ‘Click Game’, and earn your first points and badge. Your Scout Leaders will also guide you in creating your very own adventure toolkit, including gamification, augmented and virtual reality, for you to use in the real world. Make new contacts and catch up with the latest innovations from industry partners. In 2016, the National Library embarked on a major 3 year project that will see Trove evolving to meet the needs of the 21st century user. The project involves developing a new and modernised look across the entire Trove ecosystem, improving search and becoming mobile friendly. The project has also involved extensive phases of research and collaboration. The evolved Trove will be more visually appealing, intuitive and user friendly. Trove’s transformation is responding to shifts in community expectations of 21st century GLAM (galleries, libraries, archives and museums) organisations, powered by the growing focus on the knowledge and creative economy, and ongoing desire for fully searchable digitised content. This presentation will examine the thinking and planning behind the reimagined Trove, including developments to the different Trove zones’ physical spaces, external drivers for change, and the impacts these changes will have for people using the Trove and for library staff across Australia who use Trove as a tool. Finally, it will give attendees at ALIA Information Online 2019 the first opportunity to view the reimagined Trove. The Northern Territory Library (NTL) was an early adopter of open source digital repository software for storage and access to its digital collections. The service, Territory Stories, is well used, however the interfaces are aging and not targeted to the contemporary requirements of our clients. Launching in late 2018, a new discovery interface will provide access to NTL collections, with potential to provide aggregated access to the collections of GLAM agencies throughout the Northern Territory, and resources about the Northern Territory held elsewhere. Meeting the challenge of this new vision for discovery requires new approaches. Developed using a suite of open source tools, the revitalised Territory Stories service is hosted fully in Amazon’s AWS cloud. The data model is aligned to digital humanities research rather than a traditional library. Service design methodologies are informed by the Australian Government Digital Transformation Agency Digital Services Standard. User Experience practices are utilised, and development and implementation of the service includes agile and continuous improvement approaches. This paper will discuss: opportunities that are emerging through transformation; the experience of applying systems solutions and methods from outside the library sector; possibilities for collaboration with other GLAM agencies; and how the development supports NTL’s strategic planning. In 2017 the Research Centre at the Australian War Memorial embarked on a project to transform its archival document client copy service into a Digitisation on Demand [DoD] web delivery service. This paper will explore in three parts the many challenges arising from this transformation, and the solutions that can be applied to consuming, storing, managing and publishing archival documents to the web. Part one: Creating the future: Exploring the transfer to a digital service including upgrading scanning technology to industry standard, aligning image capture to preservation standards, integrating DOD produced images into the Memorial’s Digital Asset Management System [DAMS], and using the Memorial’s Collection Management System [CMS] to catalogue the Archival Documents and allow their release to the web. Part two: Legacy solution: What to do with the over 10,000 PDF format legacy files, the stored copies of archival documents, that were created over a ten year period under the client copying service? Solving a problem that was ten years in the making. Part three: Recovering costs: Applying a cost recovery model to the Digitising on Demand service. Formed in 2016, the Australian National University’s Digitisation team was created to achieve a research infrastructure that created a world class university for research and study as well as optimising the global reach of ANU research (primarily PhDs). With this range of possibilities the unit, established with two early career professionals with varying backgrounds, has become a sustained operational area providing core services to the university and delivering open access resources. The challenges faced in initial set up included the need to learn from colleagues at other institutions and the need to understand research and educational environments. A major achievement of the unit was the creation of a university wide policy and procedure. This now sets the standard and dictates the way ANU digitises materials. Core services including digitisation of library and archival collections show how we can collaborate with other areas of the GLAM sector to make decisions on priorities, gain funding for projects, and predict the staff involvement required to get the print material from shelves to online. The latest projects and the possibilities they bring, outline the need for further knowledge on data mining and visualisation. Collaboration with researchers has allowed for growth in this area and changed the way people view information at ANU. These topics becoming more relevant as we extend our vision and make the transition into digital scholarship services. Providing support to researchers is becoming a more common component of the work of hospital and special library staff. This is because more attention is starting to be paid to the impact of research, especially beyond academia, by funders and governments. When it comes to research support, staff in hospital and special libraries work within a different environment to their academic colleagues; the majority of them do not have the institutional support which is available to academic librarians e.g. a large Research Office, and many do not have access to the subscription resources which are useful in the research support field. Research support includes assisting researchers to measure the impact of their research through the use of bibliometrics and altmetrics, and ensuring that their research output can easily be identified. This presentation will provide practical advice on some of the freely-available tools which are available in the research support space and how to use them. The tools that will be discussed are Google Scholar, ORCID, and Dimensions, which are used for researcher profiles, bibliometrics, and altmetrics. Libraries have a lead role to play in digital transformation. Through the digitisation of archival and filmed material, libraries can open the path to discovery of the collections they have carefully curated over time. The National Library of Australia has used Encoded Archival Description (EAD) as a standard for curated finding aids for archival collections. Harnessing the power of EAD XML the National Library’s Trove team have developed a method to unravel and amplify the Library’s 2000 EAD finding aids to create hundreds of thousands of object records. The amplification of these digital resources will change the way users discover and engage with collections of national significance. The Library’s focus on digital projects will enhance the discovery of, and engagement with digitised content as it is created and updated in the Library’s Trove service. This report will discuss the challenges involved in taking a collection of 2000 finding aids and amplifying their discovering through the National Library’s service Trove. When the James B. Hunt Jr. Library opened in 2013 they collected Instagram images using #myhuntlibrary and shared their code on Github. In 2016 with the support of the State Library of NSW three public libraries started collecting local material from Instagram, using this code. The two libraries who continued with this project provided multiple hashtags. Additional coding has been done to make it easier for the libraries to tailor the hashtags to current community needs. The code is shared on Github so that others can do this work. The session is aimed libraries who collect local studies or material about their community of users. They will be encouraged to consider collecting social media will see that this can be relatively low cost both in dollars and staff time and enables the collecting of new local material. This is a flexible framework which can be tailored to suit the community being served and has the potential for community involvement in suggesting the hashtags collected. The large quantities of community created digital content highlight the importance of contemporary collecting for local studies. This method of collecting Instagram, while not perfect, is showing one way to consider the infinite possibilities of collecting and displaying recent material for local studies in public libraries. In fiscal times how do we, in the public sector, harness opportunities and build agile responses in our programming offer that builds community capacity in a rapidly changing world? Hobsons Bay City Council is building a Creative Technology offering in partnership with local Not for Profit GLAM partner, Seaworks Maritime Museum and precinct, based on the ideas of tactical urbanism, participatory design and collaborative working spaces. The Creative Technology Hub (CTH) is a joint venture between Seaworks Foundation and Hobsons Bay City Council and is positioned to the South West of the City of Melbourne, on the waterfront in Williamtown. Utilising recycled shipping containers, the CTH is revolutionary both in its design and intent. It is cutting edge and the first of its kind in Victoria. The best practice concept models agility, tactical urbanism, co-design and partnership. Responsive and resourceful activation of the space provides a transformational learning environment with access to creative technologies. The CTH fosters a ‘play to learn’ approach to developing and sharing new project and digital literacy skills. This all being achieved by placing creative technologies, innovation, partnership and entrepreneurship at the centre of this community project. - What are you doing in the Library today? - What do you love most about the Library? This paper will critically address these challenges, especially in the way the library presents and views its workforce and stakeholders, and will evaluate the success of the project in its goal of sharing the stories and experiences of the people who inhabit the library space. Service design is increasingly being used in libraries to assist in the delivery of superior services that align with our clients needs in addition to the strategic goals of their home institutions. Service design, in a similar way to user experience, puts the client at the heart of the design of services, whether they be physical or virtual. This paper explores one librarian’s journey to service design, commencing with social science research methodologies and applying them to the question “what do students do in the library?” The journey continued in collaboration with library staff, applying the same methodologies and more to the planning of the future UTS Library. The new library is being opened in 2019/20. The future library presents a number of challenges for service delivery. These challenges became opportunities to rethink our current services and to develop new services designed to suit a client base that has a complex matrix of needs. This evolving needs matrix is increasingly challenging libraries to think outside the square and to tune in to our clients needs in a way academic libraries have traditionally not felt the need to do. There are so many possibilities to use the data residing in catalogues and collection databases to improve the way people engage with the information. Several years ago, the Australian War Memorial website included a list of the names of soldiers who were under 18 years of age when they died during the First World War. This was an old-fashioned, static, coded list with a number of problems: the site search did not retrieve names from the list; the names were not linked to other Memorial resources; and any changes required to the page needed to be done manually. The page needed to be more user and staff friendly. To make this happen, selected data in the collection management system was cleaned and enhanced, contextual links between objects were added, and a custom-built search strategy was developed. The result is a dynamic list which encourages discovery and enables website visitors to engage with the stories of these boy soldiers. We remember them. DX Lab's #NewSelfWales: not another Selfie experience! Galleries and Museums all over the world are creating Instagram-able experiences that include the Selfie phenomenon. Museums are even being built for this sole purpose so why would the State Library of New South Wales do a self portrait experience? The DX Lab launches #NewSelfWales on October the 4th which is an in-gallery large immersive projection that shows thousands of faces from the Library's collection alongside photos from the public uploaded via Instagram and from a photo-booth onsite. The Library is keen to ask the question - 'What is the face of New South Wales in 2018?' And this forms the hook for why the Library is doing a self image experience. The Library will then ingest these images and keep this collection for future generations. In this presentation Paula Bray and Kaho Cheung will reveal the whole process from the first UX design thinking workshop right through to the delivery of the experience onsite and online. Topics discussed will include the UX process, research, tech required, problems solved and lessons learned. In 2016 GRAIL (Government Research and Information Library), at the State Library of Queensland, was one of the first organisations in Australia to convert from Nexis Publisher alerts to the new Nexis NewsDesk platform for the delivery of daily media alerts/newsletters, which include broadcast and television clips/transcripts, to clients. This was a challenging task which involved creating nearly 200 user profiles, converting 80 Newsletter topics with more than 1200 subscriptions. In consultation with Nexis staff both in Australia and internationally GRAIL staff identified many enhancements to the process and provided valuable feedback on the product. Data extraction and conversion from the previous platform and search creation, proved to be some of the most complex areas to deal with. Liaising with clients, marketing and dealing with issues about media content capture and search structure, as well as alert delivery, were of greatest concern to provide continuity of service. Government IT issues (IP and whitelisting) were also worked through during the implementation. The response from GRAIL members since the implementation has been extremely positive with subscriptions up 40% and the number of subscribers up 65%. GRAIL’s contribution to the development of the platform has been acknowledged internationally by Nexis NewsDesk. Exploring digital possibilities – a journey into the unknown. Armed with a curious mindset, a willingness to explore new possibilities and a vague brief of just do something; the Arup University Library team engaged a digital agency to discover opportunities to rethink their offering and workflows, with a digital twist. In the context of a digitally transforming global business and guided by a sprint methodology, the team were challenged to discover, design and build a product in just three weeks. Focusing on efficiency, workload, potential new services and value add, several consistent themes and pain points were identified through an immersion and discovery phase. This fed into identifying an opportunity to automate a key but time-consuming work process. This session will provide key insights into working with an external digital agency, the project journey, methodology, lessons learnt and the automated outcome which has high regional value and business reach. The project left the team wanting more! A session not to be missed for those keen to just have a go and for those plucking up the courage to start their own digital transformation journey. With advancements in Artificial Intelligence (AI) and Machine Learning (ML), we have seen a rise in the use of bots, specifically chatbots, to deliver information services. Motivated by the Smart Nation programme, these chatbots have sprung up in sectors as transport, healthcare, banking and education in Singapore. What are these chatbots? How do they work? Will they take our jobs? SMU Libraries tries to answer these questions by delving into the mechanics of creating chatbots. The proof-of-concept aims to find out and understand use cases where these bots can be useful to delivering library information services to its campus community. Your chance to recharge, refuel and meet some amazing new people in the exhibition hall. Together with libraries, Gale is assisting universities to launch, enhance or accelerate their digital scholarship programs. Gale Digital Scholar Lab, developed with participation from beta testers across a wide range of institutions and organisations, is designed to transform the way scholars and students access and analyse Gale primary source content by offering solutions to some of the most common challenges facing researchers in the digital humanities today. Digital humanities scholarship is fueling new ways of interrogating content, analysing data and making new discoveries, but researchers face frequent barriers related to finding and accessing usable and authoritative data sets, as well as building or finding the right tool to analyse the content. 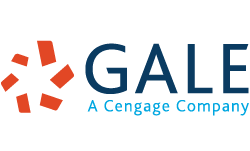 Gale Digital Scholar Lab is a cloud-based text and data mining environment that allows users to apply natural language processing tools to raw text data (OCR) from their library’s Gale Primary Sources collections in a single research platform. Join Gale for a lunchtime session and discover how your library can provide the opportunity for researchers of all levels to engage with the humanities in entirely new ways, strengthening the library’s relationships across campus and increasing the value of its collections. the value of its collections. The standard journal article, the principle method of research communication for the last 350 years, is no longer able to keep up with the data-rich, highly collaborative, iterative and fast-paced research of 2018. In this talk I will discuss the challenges that continued reliance on the journal article is creating for researchers, the technologies that are emerging to tackle these challenges and one vision for a possible future state of research communication. Over the decades our collections and services have evolved steadily limited by the nature of the legacy of our user expectations, historic collections and the established role of libraries in the knowledge ecosystem. But what happens when you lose access to or a large part of the physical library collection? Both Victoria University Wellington and the Australian National University experienced major challenges from natural disasters that have led to opportunities to reconceptualise the nature of our services and collections. How do we construct the “new” library in a digital age not limited by the physical constraints of the past? Not only is rethinking needed about the nature of the collection and services for a leading research university, challenges in working with academics to inspire them to think about how a new university library creates a challenge. The paper will walk through the challenges of immediate service prioritisation in a time of major grief, working with the community to focus on the value of the library, engaging with stakeholders, inventing the “new” library focusing on a major digital refresh and creating the vision to step forward. The presentation will enable participants to see the challenges to the role of the library, learn about crisis management in universities and how we can take the opportunity to rethink in the digital environment. Infinite possibilities indeed. A critical mass of social media adoption has been achieved in the academic library context, but its efficacy is not clearly supported by scholarly evidence. Social media use by libraries remains “ad hoc and somewhat experimental” (Taylor & Francis Group, 2014, p. 0), with many institutions lacking a defined strategy, and failing to evaluate the effectiveness of their social media channels (Peacemaker, Robinson & Hurst, 2016). The desire to be perceived as professionally legitimate may outweigh efficiency, resulting in the homogenisation of library social media (Harrison, Burress, Velasquez & Schreiner, 2017). Are academic libraries adopting social media out of external pressure rather than actual need? In order to make a decision about social media based in evidence, the University of Southern Queensland Library is asking, “Do academic libraries really need social media accounts?” Does the evidence support the reasons commonly given for the use of social media by academic libraries? Are users engaging, and how do social media managers define and measure success? Embedded within the Australian academic library context and focusing specifically on Twitter, this paper will discuss whether there is a gap between the rhetoric about social media and the reality. -Tinker Time: A six-month staff development program, focusing on the growth mindset with targeted workshops and individual personal learning agreements. This session we will give an overview of how we developed our programs and on Thursday we will be running a drop-in Tinker Time in the Exhibition hall. Come along and meet the rest of the team and explore the kits. See you there! Resource Sharing: Is the party over? Before AirBNB and Uber, libraries were the original sharing economy: sharing books, stories, information, and expertise. Systems were built to facilitate resource sharing and libraries worked together to create large-scale platforms to share across their borders. Interlibrary lending has been an integral and expected part of library services for years. Today the ILL ecosystem is fragmenting. Collections, technology, and legal frameworks of copyright continue to change and the demands on library budgets are complex. User experiences are driving access models, peer-to-peer sharing services are active if not often legal, supplier options have grown, often it is simpler to buy instead of borrow, the Australian ILRS Code has been revised, the LADD platform is shifting, and the ILL systems and networks specified in the 1990s are tired. The concept of network collaboration to facilitate Interlibrary loan at scale is at a crossroads. Informed by their activities and research into ILL options, ALIA and the Libraries Australia service delivered from the National Library of Australia partner to present ILL futures through a series of scenarios to answer the questions: Is the ILL party over? What do libraries need to do to make access happen in the 21st century? Where do you fit into the new paradigm? The session is bold, creative, big picture, provocative, and interactive. One of the biggest challenges for libraries today is fulfilling client service requests 24/7. We have skilled staff in the library during the day and evening; LiveChat for those not able to come in person, but what happens after hours? Who is there to help those who work shifts, have children, live on the other side of the planet or just prefer studying at 2am? Artificial Intelligence (AI) promises an affordable solution, but will it provide the quality, flexibility and authenticity needed to ensure client satisfaction? Importantly, can the accuracy, veracity of responses be assured? At the University of Wollongong, the Library has teamed up with Academic AI specialists, Engineering and Information Science Faculty and a team of exceptionally gifted students to solve this problem. Using a combination of Agile Scrum and Design Thinking methodology to ensure client satisfaction and service needs are met, the team has commenced building a Chatbot designed to converse, provide assistance, and refer clients when needed. In other words, to create, rather than recruit, a new library staff member. This paper will explore the journey, noting the challenges, breakthroughs and methodology used to create and evaluate the ChatBot. This paper will introduce the Corley Collection Explorer, a web interface to the State Library of Queensland’s Frank and Eunice Corley Collection. The Corleys travelled south-east Queensland with a mobile darkroom, selling personalised calendars in the 1960s and 70s. Their legacy is a set of around 65,000 photographs documenting suburban landscapes and vernacular architecture: Google Street View, shot on 35mm film and developed in a Bedford van. We reflect on the process of producing the Corley Explorer, focusing on the dual aims of enrichment and exploration. The collection is sparsely described, with almost no metadata for individual items. We sought to extract and apply the limited data available using accessible computational techniques, and to design an engaging interface that invites the collection’s audience to help describe the collection in detail, through structured tagging, geolocation and personal annotations with text and image. We aim for a “virtuous circle” where improved metadata and description enhances exploration and findability and vice versa. Our strategies included multi-scale geolocation: using coarse features such as place names and partial addresses to generate map interfaces, supporting users to provide precise address-based geolocation. Working closely with our Library collaborators, we quickly designed and tested a structured vocabulary for describing the Corley photographs and the houses they depict. This iterative involvement and rapid collection prototyping epitomised the participatory character of the whole project. We also trialled the use of machine learning techniques to help enrich and explore the collection; while ML did not provide miraculous solutions, it enables for lateral and serendipitous browsing that complements traditional metadata-based approaches. Our work involves the creation of “generous interfaces”; reimagining the representation of online resources to encourage exploration and discovery beyond the usual keyword search. With the Corley Explorer we focus not only on representation and interaction but also on contribution; the interface invites an audience to participate in the definition and classification of the collection items. Rather than a task-focused process of crowdsourcing, we think of this as a form of participatory design and a site of shared concern. When the GLAM sector first started to seriously explore automation in the 1960s, some were enthralled by what they saw as the near-limitless possibilities of new technology. Then the realities of early computing hit. There were advances, but there were also losses; and collection description (particularly in archives, museums, and galleries) remained laborious, detail-oriented work. In the fifty years since there has been continual technological development - desktop computing, the world wide web, digitisation, virtual reality - accompanied by an increasing awareness of the importance of inclusive, participatory practice. Yet, at their heart, many online collections continue to reflect the legacies and limitations of the past. In this presentation, Mike Jones will look at how GLAM catalogues and digital collections have been shaped by the professional, disciplinary, and societal splits which characterised the twentieth century. Drawing inspiration from computing history and contemporary theory he will highlight the need for a few phase in digital collections - one more complex, citational, polyvocal, and relational than what has gone before. Kick off your conference experience at the welcome reception! This will give you the perfect chance to absorb your first day, meet, and catch up with peers as you enjoy some refreshments and get access to the exhibitors you've been waiting to meet. Please note - where this function is included in your ticket type, tickets are NOT automatically allocated. For catering purposes you are required to pre-select if you will be attending. Carla Hayden will be presenting via Skype. The Library of Congress is the largest library in the world with more than 170 million items in its collection. Librarian of Congress Carla Hayden will discuss the importance of the agency on a global scale and making this universal collection available to all. The widespread adoption of ebooks by academic libraries holds out the promise of easy access to books, for students and staff with a print disability. But this promise is not realised when academic ebook platforms contain built-in obstacles for this group of users, thereby failing to deliver the great flexibility which digital formats are capable of. In the digital environment in which students now work, accessibility is increasingly expressed in digital terms. Libraries, when purchasing ebooks, are bringing into the university’s digital environment ebook platforms over which they have no control, and which offer varying levels of accessibility. Faced with a choice of platforms, librarians lack clear criteria by which to judge which are the more accessible. In 2017, the University of Queensland Library ran a project to examine the accessibility of key ebook platforms available to students and staff through the Library. Employing Jisc’s Ebook Accessibility Audit and a set of screenreader questions of our own devising, we tested each ebook for features needed by users with a print disability. The project was a learning experience for staff; the results are being used to inform purchasing decisions and discussions with publishers/vendors about the accessibility of their ebook products. Commercial businesses leverage the power of web analytics to optimise their websites with the key aim of selling products and/or services. However, connecting and empowering communities with information and resources are at the heart of cultural institutions. So how does the GLAM sector leverage the power of web analytics ensuring informational websites are optimised to provide helpful and relevant information about services and resources offered to our communities? This question was one of the challenges faced by UNSW Library when launching a new site in 2017. Unfortunately, information about web analytics and web strategies specific to organisations in the GLAM sector was scarce. UNSW Library developed a comprehensive web analytics strategy aligned with organisational goals, engaged key stakeholders, leveraged freely available tools for data collection and created interactive reports to continuously make incremental improvements and explore further possibilities using analytics. This interactive session will demonstrate how strategies and changes can be achieved with a limited budget by building upon existing skills and tools that may provide a new focus for Libraries. Participants are invited to think critically about how a web analytics strategy can benefit their own institutions and empower attendees with practical ideas to enhance their service offerings. Chaired by two keen GLAM enthusiasts (Sue Hutley and Deb Verhoeven), this interactive session will include 5 lightning talk speakers, who will focus on projects that can align with the Galleries, Libraries, Archives, Museums and Records sectors. Each speaker will have a technology theme combined with a sensory theme - sight, hearing, smell, taste, and touch. Delegates will engage with artifacts designed to create interactive or immersive experiences, for participants to contribute to the session, and also to take away. Data may be collected from participants of this session. If you are interested in attending this session you will be required to register and sign a participant’s waiver. Register here for this session. Registrations are open until 12 February 2019 or until the session is full. Please note that you must arrive at the session start time and be prepared to stay for the full session. In 2017 Ipswich City Libraries launched the hugely successful Market Place concept, a new curated content and presentation space featuring thousands of books where the average title circulates at over 400% the usual rate for the rest of the library collection. Having made our impact in the Library physical space, we are now intent on bringing the same revolution to the digital customer experience. Using the recently available APIs delivered with our Library Management System we have built a digital experience that allows users to browse our Online Market Place in the same way they might browse Netflix. Our Online Market Place offers a completely new Library browser experience, with an emphasis on immediacy, quality and delight. We deliver the same high-value curated experience that made the physical Market Place such a huge success along with the ability to reserve a book with just a few clicks, rather than the usual navigation-heavy OPAC experience. This presentation shows how Libraries can move beyond the fixed functionality of off-the-shelf Library products and use APIs to engage, fulfil and delight their customers. The selection and evaluation of electronic content in academic libraries is a complex process governed by a number of competing priorities - discipline focus; teaching and research priorities; budget constraints, complex contracts and vendor business models. USQ Library has developed an evidence based decision-making tool for the purchase, evaluation and decommissioning of electronic content building on practices developed in the Library sector (Keogh 2018, JISC 2016 and Johnson et al 2012). The Library’s Content Framework forms a strong foundation for this approach, focussing on empowering the client as the central focus of service delivery. The innovative tool allows the application of very specific quantitative criteria for each identified principle and the provision of appropriate weightings to inform the evaluation process. Principles covered include an assessment of Return on Investment, Content Quality and Functionality. Even though the tool is based on quantitative principles, flexibility has been incorporated due to the diverse nature of discipline needs and research priorities. Extensive ongoing consultation with experts and stakeholders continues to be a key component of this initiative. The aim is to provide evidence transparently and equitably, enabling the Library to meaningfully consult with all stakeholders, from Liaison Librarian staff working with clients to higher level management conveying the value of the Library’s content. A missed opportunity? eBooks and public libraries in Australia. While estimates suggest between of 17-25% of book sales in Australia are for eBooks and 31% of people are regularly reading eBooks, loan figures for eBooks by Australian public libraries are only 3.6% of total loans. This gap suggests that during a period where total loans are in decline there is a major opportunity to grow eBook loans. Despite impediments to developing eBook collections (including publisher restrictions and pricing) it is possible to close the gap between library loans and eBook sales. City of Ryde Library Service consistently has one of highest per capital lending rate for eBooks in NSW. Public Library Statistics for NSW show per capita lending rates at City of Ryde are three times the state average. The development of the eBook collection at Ryde is driven by a close analysis of sales data and collection statistics. This paper includes a statistical analysis of circulation and customer demographics as well as an overview of the promotion and customer support for the City of Ryde online library. Dan will wrap up by taking a glimpse into the crystal ball and share his view of the future of privacy in libraries and the broader consumer world. Join our special guest authors signing copies of their latest books. Find ways to improve operational efficiency, save time, and better connect end users to the information they need. Learn more about OCLC’s strategic direction for resource sharing services. NED is an innovative online service for the deposit, archiving, management, discovery and delivery of published electronic material across Australia that will launch in early 2019. Legal deposit legislation mandates national, state and territory libraries to collect the entire publications of individual jurisdictions. For many years these libraries have built collections of print that provide the documentary history of 19th and 20th century Australia. In the late 20th century, the arrival of digital media and the internet has been and remains the great disrupter. For libraries, it means that publications are no longer just print. The print formats – books, journals, newspapers, magazines, maps, sheet music – are now available in digital. New digital-only formats proliferate – websites, social media, and blogs. NED is an exciting collaboration between Australia’s nine national, state and territory libraries, responding to the major challenge of capturing and preserving the digital documentary history of Australia for the future. This presentation will outline the challenges of building both a technology platform and a service collaboratively with nine partners spread across Australia and highlight the technical innovations of the service. It will introduce NED to the library profession, publishers and users, demonstrating the benefits of the service. Although many librarians have experience of editing Wikipedia, less of them are familiar with Wikidata. Wikidata is managed by the Wikimedia Foundation, the same group responsible for Wikipedia. According to the Wikidata website, “Wikidata is a free and open knowledge base that can be read and edited by both humans and machines. Wikidata acts as central storage for the structured data of its Wikimedia sister projects including Wikipedia, Wikivoyage, Wikisource, and others.” One of the projects within Wikidata is WikiCite, and its aim is to construct bibliographic references using data from Wikidata. These references could then be added to Wikipedia articles to improve their quality. Librarians are no strangers to bibliographic data, so they are well-placed to be able to add it to Wikidata. Because Wikidata contains structured data, each item needs to be entered using pre-specified fields. There are several tools which can be used to add items to Wikidata, one of which is Zotero. Zotero makes it easy to upload a batch of bibliographic items to Wikidata. The process of uploading data to Wikidata using Zotero will be explained, using articles from the Journal of the Australian Library and Information Association as examples. Mobile Max evolved from community feedback that access to information was needed outside of the usual indoor Hitnet Hub sites, such as in clinics, hospitals, libraries, community centres. Aboriginal and Torres Strait Islander people who are the main users of Hitnet’s Hubs around Australia, would prefer to have this information accessible outdoors where they meet and feel more comfortable. Hitnet’s Mobile Max: Bringing information and services to hard-to-reach communities at Alice Springs Library is a central meeting place for locals, tourists, and many Indigenous people who come in from the surrounding communities. Mobile Max with his shelter, was installed outside the main doors of the library. Mobile Max is a locally designed touchscreen kiosk that runs off a 12 hour battery, has a WiFi hotspot, mobile phone recharge ports, and an easy-to-use touchscreen that displays interactive cultural and social information. Content accessible via Mobile Max includes photo collections from the Library’s digital archives, TV news bulletins from the local Aboriginal College, and other cultural stories (many in language) from local Indigenous content producers. Mobile Max has been in place outside the Alice Springs Library since mid-August. Early data analytics point to some interesting opportunities for libraries with regard to engagement with community members. For example, two thirds of overall usage is by male users. Engagement time for the outdoor Mobile Max is on average longer and more frequent than with the indoor hubs suggesting that people feel more comfortable with the hub being outdoors. Hitnet will present the findings from the installation of Mobile Max at Alice Springs Library, and how it can be used as a tool to deliver information and services to Aboriginal and Torres Strait Island people, and other harder-to-reach communities. This will include usage statistics of both the touchscreen and the WiFi hotspot, interviews with the staff and users of the outdoor hub about its effectiveness in breaking down barriers to access. Retaining a book, pamphlet or audio recording for its historical or monetary value is one thing, but then having the item be used for research gives it a new purpose. Victoria University Melbourne has a relatively small Special Collections area within the library but is it rich in content. The issue has been that not many within the University community, or even our own library, know about the research potential of the material. What have we done about it? We decided to look for new ways to connect with the users, to share the stories of how researchers have used the collections rather than just describe them. We planned new entry points to the material and better descriptive material to increase visibility. A new online guide was created focusing on how to access and use including short videos of researchers who provide insights on how the collections have been successfully utilised. Displays and external exhibitions exposed the material to new audiences, and the restructure of the University research areas provided an opportunity to re-align and promote our collections in a new way. Rather than talking about the individual collections themselves we pulled material together relating to the research areas and highlighted them through a Special Collections Roadshow. New connections are being created between potential users and the collections. Join a panel of Australian authors discussing a range of issues including ebooks, fake news and the impact of technology on reading habits. Bring your own questions along for the panel. The National Library of Australia has transformed collection description and access for its digital heritage collections. The fundamental change from an item-by-item process, to large-scale data collection achieves efficiencies, enables rapid access, and allows the collection of previously complex electronic formats from publishers, photographers and donors. The award winning Digital Library Infrastructure Replacement Program (DLIR), completed in 2017, was built using in-house expertise in programming, business analysis and collection management. DLIR produced a cutting edge suite of applications and systems that gives the Library the ability to produce system generated information and reduce or eliminate duplicate processing activities. Staff resources can be deployed where their expertise is most effective. The Library’s collecting of born digital pictures and manuscripts now benefits from a simple online deposit workflow. Information flows directly from the creator to the consumer and donor created lists can quickly be converted and published as an online finding aid in EAD (Encoded Archival Description). This rapid turnaround of descriptive metadata not only improves access but also enhances relationships with donors. Similarly, the edeposit service built to collect published material enables the collection of born digital publications. The service has exponentially increased the Library’s capacity to collect while supporting publishers to comply with new legislation. Rapid access to content is enabled as publisher supplied metadata, captured via the edeposit service, is automatically mapped to a basic catalogue record which enables the ingest and display of serial issues without any human intervention. This eliminates the most labour-intensive of library tasks; serial check-ins. What happens when you mix an early 90s vending machine with your Library's collection and a Twitterbot? You get the @VendingLibrary. This surprising and highly successful experiment by the DX Lab started from a conversation about making a collection surprise dispenser to allow visitors to the State Library of NSW to take home a little piece of the collection (printed on paper) with them. This presentation by Paula Bray, Kaho Cheung and Luke Dearnley will describe the @VendingLibrary from inception to delivery which will include how the 1990's vending machine was delivered into the foyer of the Library with 56 different printed collection items based that are based on themes selected by the Curators. A visitor can tweet to the @VendingLibrary twitter account with the #suggest to then have their tweets analaysed and a collection item recommended to them based on their previous tweets. DX Lab Developers Kaho and Luke will describe what was involved in building the twitterbot and the insides of the vending machine. Paula will describe the process of getting the content ready, what visitors have been doing and what the reaction has been to this analogue meets digital experiment. But you’re a digital native, can’t you already do that? Digital technologies may provide infinite possibilities, but only for those who have the knowledge and capabilities to operate in the digital environment. While University students are often assumed to have the skills they need to operate in an online learning environment, and succeed in the digital workplace, this is not always the case. In 2018, the University of Queensland asked students what they did and didn’t like about the digital environment, and what capabilities they needed to thrive in the online world. Students’ responses showed that they don’t necessarily have inherent digital capabilities, and need support to develop their digital literacy. To respond to this need, UQ Library worked with student partners to develop 16 digital literacy online learning modules aimed at students. These modules can be embedded in courses and, with a certificate of completion for each module, they can contribute to assessment and employability. This presentation will discuss how Library staff worked with students to develop theCreative Commons licensed modules, and the benefits of partnering with users. It will also discuss how developing digital literacy resources for students led the Library to start exploring the possibilities for further development of digital literacy amongst teaching staff, researchers and students at UQ. The creation of browsable experiences for users of digital collections in the GLAM sector is still in its infancy, despite the fact that institutions have been digitising content for decades. In addition, any existing efforts are heavily reliant on curatorial input from staff to create a collection of items on a related topic or theme. The State Library of Queensland (SLQ) is committed to developing new ways to experience our content and for users to delve into our collections in intuitive, powerful and playful ways. So with this commitment, one of our first projects was to create a visual showcase of the items in our collection, curated by our users. We worked with Interaction Designer Elisa Lee and Creative Technologist Adam Hinshaw to create SLQ Unstacked. A data visualisation of what SLQ staff and clients are accessing in One Search, our library catalogue, displayed in real-time. SLQ Unstacked takes the searching experience of one and transforms it into a visually pleasing browsing experience for many, without the need for added staff time and resources. Revolutionary advancements in machine learning have opened up new ways of experiencing and understanding digitised collections. What can artificial intelligence offer GLAM professionals to enhance access and research? And what new questions must librarians and curators confront when their archive becomes a dataset? Tickets are NOT automatically allocated even where this function is included as part of your ticket package. For catering purposes you are required to pre-select if you will be attending. Pre-dinner drinks will be held in the exhibition hall, level 3 from 7:00-7:30pm. Get your best dress ready, find your tux and dust off the dancing shoes because you are invited to an evening of glitter, glitz and GLAM! This is your chance to walk the red carpet, dressed to impress and enjoy a night of old school elegance and fun. Join your friends and colleagues beyond the red velvet rope and spend an evening enjoying great food and fantastic company and kicking up your heels. This evening is just for you; this is a time to let your hair down and have fun! But remember, the conference dinner is the perfect professional development opportunity to make new connections and re-connect with colleagues and industry partners. Surrounded by fellow conference attendees you can get to know your industry in a low key, relaxed environment. Don't forget to have your photo taken at the paparazzi wall, posing in front of an abundance of red roses and share them online using the hashtag #infoonline19. Dress code: Cocktail, Hollywood Glam or Red. In 2019, the International Year of Indigenous Languages highlights the important of protecting, preserving and celebrating Indigenous languages and culture. Libraries and archives play an important role in the revitalisation of Indigenous languages. They connect Indigenous people with documents and records that enable Aboriginal and Torres Strait Islander communities to strengthen and reclaim languages and culture. Digital technology has enabled even greater possibilities of how language and culture is collected, display and shared. A key focus on this work is Indigenous engagement and collaboration. This paper will look at the True Tracks Indigenous Cultural and Intellectual Property Protocols as a framework to enable Indigenous empowerment in First National language projects. Tinker Time is a taster session where you can explore a range of activities that develop digital capabilities using UTS Library’s Tinker Kits. Have a go at our sample sessions and take home everything you need to do it your own way. You’ll develop an understanding of how to run sessions that build digital literacies in yourselves, your team and your clients through exploration, experimentation and serious play. All lesson plans and materials will be provided. Who knew the humble referencing system could be used to empower Indigenous perspectives? Indigenous objects, artefacts and other material culture are deeply linked to the Country and people they come from. However, due to colonial processes that information has often not been recorded, as cultural materials from Indigenous creators or communities were frequently removed without permission or attribution. Unsurprisingly, these processes are still in place but what if we could reframe the practice of referencing by linking Indigenous objects to Country and cultural heritage? This innovative way of thinking about referencing occurred during a collaboration between a UTS Librarian and an Indigenous researcher to develop cultural resources. Through a process of yarning a strong relationship was created and it became clear there was a gap in the way Indigenous materials are referenced. Together we created a new way of referencing Indigenous materials that recognises Country and colonial processes. Indigenous materials are connected back to the place and people they came from and material culture reclaimed by their living descendants. This work is significant because it raises cultural awareness about Country, cultural heritage and identity, Indigenous Cultural Intellectual Property and colonisation. At The Learning Space in Rhodes, City of Canada Bay Libraries has been running a weekly Men’s Tech Shed since August 2017. Mostly retired men meet: they have access to computers and equipment primarily used for 3D printing, coding and electronic making. The group has over 30 members, with 10-15 attending weekly. In addition to their personal projects, participants have 3D printed and assembled a fleet of open source OTTO robots, learnt python, completed a digital/drone photography course, studied electronics fundamentals, and learned to repair and maintain our 3D printers. Initially, this project was funded by NSW Department of Family and Community Services (FACS) as part of their Liveable Communities Grants Program. It was very heavily facilitated and led by Library staff in its beginning stages, but the group has now gained significant autonomy, charting its own course towards sustainability, and programming its own activities. Their growth has helped us shape and develop our makerspace, and in return they assist us in understanding its true potential. Participants regularly assist us in our other programs, make items we use in our makerspace, and share their learning with us, allowing us as community of makers to support each other. With 2.5 million Australians not online, digital inclusion is a key issue in our country. Making sure that everyone has the digital skills they need requires a significant collaborative effort across different sectors. Libraries play a key role in providing community access to technology and supporting individuals to learn digital skills that will enable them to thrive in our digital world. This presentation will explore digital inclusion practice occurring in libraries across the UK - through the Online Centres Network, Kenya - through the Kenyan Libraries Network and Australia - through the Be Connected Network. It will highlight examples of great work that librarians are doing to engage their communities and some of the similarities and differences that exist across different countries. In the transition from physical collections to hybrid collections – that is, collections both physical and digital – the digitisation process conducted by memory institutions can be selective. Limited resources, even for large-scale, digitisation projects usually realise outcomes that focus on making visually rich, key or canonical documents, or those documents that are considered high use or at risk, available online. Such materials are extracted from a full body of records. Digitisation projects tend to be devised for a broader audience where contextual questions are less central to the methodology in favour of presenting notable documents online – profiled as an online exhibition or easily accessible through online catalogues – separate from their complete collection and, critically, their context. Libraries are not neutral spaces and this practice of (re)enforcing the canon through digitisation is a challenge that collecting and cultural institutions in partnership with tertiary institutions need to address. This paper, with a focus on humanities projects, explores ways to engender a consciousness of context. Through collaboration, digitisation projects can actively support education programs in ways that mitigate the risk of merely relying upon the canon. By being open to new forms of digitisation and analysis without a commitment to the canon, we might obtain a much more nuanced view of our histories and cultures under examination. In December 2017, City of Sydney library (public library) launched a lending makerspace kit collection to their community. The collection consists of over 180 items featuring: Makey Makeys, Spheros, Snap Circuits, Circuit Scribes, Ozobots and Edison robots. Creating the collection involved collaboration with the Library Programs Team, Communications and Marketing team, Web team, Procurement, Collections staff and all Library Staff. Creating and implementing the Makerspace Kit collection has been a great learning, training and development opportunity for staff. Staff have developed skills in learning about new technologies, flexibility and adaptability to new materials, the ability to train other staff, discuss and share information. The Makerspace Kits are popular with the community with over 120 loans per month. City of Sydney Library continues to develop the collection. On 3 June 1992 the Supreme Court of Australia handed down The Mabo Decision overturning the doctrine of terra nullius and acknowledging the notion of native title. To commemorate the 25th anniversary of this historical land mark, MAAS worked closely with the Mabo family to create an installation honouring the legacy of Uncle Eddie Koiki Mabo - connecting his work to land, sea and sky. As part of this process, the family asked the museum to take custodial care of two of Uncle Eddies most significant garments - a favourite shirt that appears in many of the photographs document his journey; and a magnificently floral shirt made for him by his dear wife, Aunty Bonita Mabo - and the garments were gratefully received for inclusion in the exhibition. But what about the status of "title"? In this presentation, Marcus Hughes (MAAS Head of Indigenous Engagement & Strategy) will discuss the development of the MAAS Custodial Deed of Deposit and its implications on access and title as a crucial element in the decolonisation of traditional keeping places. Local history collections contain rare, often unique items and South Australia’s public libraries frequently find themselves as custodians of these cultural and social collections. The content includes published works ephemera and realia, which offer an intimate insight into the history of the local community. The challenge faced by The South Australian Public Library Network (SAPLN) is one of making these collections more discoverable. SAPLN is a diverse consortium of 140 public libraries where the largest metropolitan library serves a population of 150,000 residents and the smallest council areas have less than 1,000 residents. Not all libraries have specialist staff working the Local History area or an understanding of the unique challenges that these collections present within a lending institution. A standardised, state‐wide approach to the format of digitised material, and the metadata that supports the discoverability of this material through the online catalogue will allow improved discoverability and access to these unique resources for both South Australian residents and the wider community. Technology is playing an increasing role in everyone’s life - from infancy through to the senior years. Keeping safe online is essential. Safe access to all of the positives that technology brings is crucial for everyone especially those who are most vulnerable. The eSafety Commissioner is responsible for promoting online safety for all Australians and co-ordinates and leads the online safety efforts of government, industry and the not-for profit community. This presentation will provide an overview of the various functions and programs managed by the Office of the eSafety Commissioner and you will walk away with helpful resources that can be used with your staff and local communities. In 2016, the University of Tasmania Library commenced searching for a digital web-publishing platform to exhibit our Special and Rare collections. After assessing a variety of products, we quickly identified the most recent iteration of Roy Rosenzweig’s Omeka web-publishing platform, Omeka S, as the ideal candidate. Still in development, Omeka S presented many challenges. From the beginning we believed the potential benefits of Omeka S outweighed the risks. Irresistible features included; the ability to share and connect collections, system interoperability and a real linked data solution. Strategically we realised a University supported, centrally managed Omeka S instance, could showcase all University cultural collections plus potentially link collections across the Tasmanian GLAM sector. This greater GLAM vision cemented our choice. Long term we are working towards Exhibit, our Omeka S instance, generating a cultural shift. Increasing the connection between our Special and Rare Collections and institutional research output and providing a University-wide solution for the presentation and publication of non-traditional research outputs (NTROs)1. This session presents our Omeka S, Exhibit journey to date – challenges met, connections made and opportunities harnessed plus a selection of future possibilities. UX design has the potential to transform the GLAM sector. UX and the principles of design thinking could help to solve wicked GLAM problems. This quick smart session is designed to spark ideas, evoke new ways of thinking, and will be a toolkit of resources so that anyone in the GLAM sector can get started with design thinking in their information organisation. Communities expect libraries to offer a more user-friendly online experience, with better integration across the spectrum of services, and keep up with technological change. In an environment where all organisations need to think and act differently, we aim to help organisations respond to the increasing pace of change. In the current organisational environment, it is critical that librarians collect evidence to plan and support their decisions for library programs, collections, and events. Dr. Lynn Silipigni Connaway will discuss different qualitative research methods used in collaborative projects, the findings that emerged from the data provided by both library users and potential users, and how these findings can inform libraries’ strategic planning and offerings. At the State Library of NSW, our catalogues run on a suite of cloud-based applications by ExLibris (Primo, Adlib, Alma and Rosetta). These products also offer web-based APIs, allowing developers to build their own applications. The DX Lab has been experimenting with stitching these separate APIs together, forming a ‘global’ API layer that links search, catalogue records, media and our own custom databases. Rather than fetching data from multiple data sources, or having to understand different API standards, a global API simplifies application building - allowing developers to build and experiment more quickly. This ‘global’ API is built on GraphQL, an open source standard created by Facebook to solve their complex data needs. Other companies such as New York Times, Twitter, Pinterest and Github are seeing GraphQL as a viable alternative to traditional REST APIs. The graph approach also helped us to think about our data more as abstract models and relationships, rather than data sources and products. Because GraphQL can use any data source, we have plans to link ElasticSearch, Wordpress and even Google Analytics data to the same global API. Moving beyond SLNSW data, there is also potential to link to other GLAM collection APIs and integrate with Linked Open Data. Protecting the fragile while increasing accessibility. State Library of Queensland has used 3D capture techniques to create a SLS Nylon printed replica of a braille globe that is able to be touched as the original was intended to be experienced. The presentation will share process to digitise and deliver on a 3D printed version of the globe. Digital inclusion is a key issue in Tasmania given that the state had the lowest levels of any state or territory in Telstra’s Australian Digital Inclusion Index in 2017. While the state’s score fell by two points between 2015 and 2016, it recovered by 1.6 points in 2017. The report discovered the gap between Tasmania and the national average was widening. Libraries Tasmania is a unique organisation having a footprint across the whole state through a network of libraries that are coordinated and funded through the Department of Education. David Gutteridge and Kathleen Priestly will guide you on a tour around Tasmania to discover our work with communities to bridge the digital divide. We will share our strategic partnerships, ways volunteers are contributing, technologies and changes in the provision of services during the last decade. Devonport in the North West of Tasmania and Huonville in the South will be highlighted during our conversation as case studies to provide local context. These towns provide examples of the changing nature of communities and how services provided need to adapt. We will challenge the audience to share their thoughts on key questions during the conversation around technology for the next decade. Libraries and Galleries are 19th century institutions operating in the 21st century and as such are dealing with a number of issues in their quest to remain relevant in our technology driven society. To attract new audiences while retaining existing ones, and to please those who embrace technology and those who want to escape from it. This paper will explore the shifts that have taken place over the past 150 years, what the threats and opportunities are, what services and programs remain constant and what has changed and evolved. Also to be considered is, if there is a need to change, a need to embrace technology and indeed, is technology our friend. That is, what place does technology play in bringing people into or buildings or relating to our collections and whether there is still a place for an institution where people can escape technology. This paper will relate these questions to the municipality of Bayside in Victoria which has a population of 104,000 and operates four branch libraries and a public gallery. Library and Gallery staff collaborate to cross promote programs and services and collaborate on projects and deal with these issues on a daily basis. What are we DOIng about the out-of-copyright literature? Digital Object Identifiers (DOIs) have revolutionised the way we locate, access, cite, share and track scholarly content. DOIs are a critical component of bibliographic metadata that should be included (where they exist) in all citations. However, the DOI system is designed for current publications – publications usually receive a DOI at the point of their publication online. Efforts are being made to bring the historic literature into this great linked network of research, but this is raising serious issues about access. DOI registration rules state “you must have the necessary rights for the content you register”. This means that, under the current DOI system, anyone can assign a DOI to an out-of-copyright publication, thereby making “their” copy the definitive version. The major scholarly commercial publishers have assigned DOIs to thousands of out-of-copyright publications. If you want to access them, you need to pay. In many cases, open access versions of these publications exist on other websites, but anyone citing these articles must point their readers (via the DOI) to the versions behind paywalls. This paper will explore the current situation regarding DOIs and historic literature and the steps that are being taken globally to resolve this complex issue. Despite the effort and expense that libraries put into managing the discovery experience, many users skip the library entirely, opting to use PubMed, Google, Google Scholar, or even Sci-Hub to discover and access articles and other scholarly publications. Libraries have not helped our cause: our discovery tools are cumbersome, and we force users through multiple steps to get to the content they need. In far too many cases, even when they discover an article, they are unable to access and read it because our tools have thrown up road blocks. We will report on a pilot designed to create a seamless process for users to get to the content they need, regardless of the patron’s starting point. This simple solution allows libraries to guide users to content from the places they are already searching – Google, Google Scholar, PubMed – as well as from library discovery tools. In addition to bringing users to licensed content, this solution will bring them to open and pay-per-view versions of publications, meaning that the user experiences fewer dead ends. A key challenge for academic libraries is building staff capability to support a student experience increasingly marked by innovative pedagogy and embedded digital skills. At the University of Adelaide we mandated a Challenge & Change program for Library staff to develop strategic thinking, digital capability building and self-reflection. Staff were required to capture a constructive idea or suggestion on a single page using a digital tool which was new to them. Each staff member also completed a one page self-reflection on the process. The resulting Challenge & Change outputs have supported cultural change and led to significant new initiatives across the Library and unleashed fabulous talent across teams and staff levels. This presentation would explore the benefits of such embedded skill development activities, lessons learned and impact on the library culture. Makerspaces are physical locations that provide tooling and equipment to build, make, repair and create things. They are increasingly seen as new offerings for libraries to broaden their impact in knowledge sharing in the local community . The University of Southern Queensland (USQ) is a leading provider of distance education in Australia and has approximately three quarters of its students studying online or by distance. One of the challenges of the USQ Makerspace is to explore alternative ways to connect with, and engage students in its possibilities. The aim of the Maker Kits project is to encourage the growth of maker culture and maker skills within the university. A Student Amenity Fee grant funded the pilot program that delivered 120 free maker kits to USQ students across Australia. Kits were paired with online workshops, covering the basics of circuits, working with Arduino electronics and machine language code. Early observations indicate that the program has a high level of interest and participation with demand for future sessions. The Maker Kits pilot program highlights how makerspaces can engage communities regardless of where they are located. The presentation will focus on how this new innovative program was developed and implemented, including material lists and an overview of the workshop content. Student participation, evaluation outcomes, as well as plans for project expansion will also be discussed. As part of a major course review of a large undergraduate course, the library co-designed an embedded digital literacy module to ensure students develop digital literacy skills. This required a course-wide view of the problem to ensure a course-wide solution. The compulsory online module is scenario-based and utilises a threaded narrative approach to ensure an authentic learning experience, enabling students to understand how digital literacy is relevant in a work environment. The module is engaging in design, activity-based and, while formative, is a hurdle requirement that students must complete before submitting summative assessment tasks that follow. First embedded in the course in 2016, more than 6,000 students have completed the module. Students’ achievement of course learning outcomes provides clear measures of success of this innovation. Students' academic achievements in the following assessment tasks, which require digital literacy skills, improved markedly by more than one grade level. Further, students' self-reported confidence levels in the area of digital literacy has resulted in over 98% of all students now being either confident or very confident in their digital literacy skills. The success of this innovation has allowed the Library to develop new, scaffolded modules through to the 3rd year of the course. Are we digitising or digitalising? To thrive in the digital economy, it is critical to be able to look for new opportunities, find and exploit them. It is also essential to develop profound insights into customer journeys and new opportunities for how to serve customers better (and more frequently) in the future. Many of the opportunities emerge thanks to the latest trends in business, technology, and society. In his session, Marek will bring together many of the topics discussed during the conference. But mostly, he will talk about the significant difference between digitising and digitalising organisations, and discuss where and when each of the two approaches is important. He will introduce “jobs-to-be-done” as a new way of looking at customer needs, creating a broader perspective beyond product features and industry boundaries. And finally, he will cover the concept of systemic ideation, allowing organisations to approach innovation in a much more predictable way. Bid farewell to Sydney and celebrate all the great experiences shared in the week past. This ALIA Members only event gives the program committee the opportunity to thank you for attending and gives you the time to take in everything you’ve seen and learnt, to discuss with fellow members and new friends. Please note - where this function is included in your ticket type, tickets are NOT automatically allocated. For catering purposes you are required to pre-select if you will be attending. The State Library’s new Michael Crouch Family Galleries will open to the public on 6 October 2018. The Library’s DX Lab has been working with exhibition designers and digital creatives to develop new and interesting ways for visitors to interact with the Library’s extraordinary collection within and around the new galleries. Paula Bray, DX Lab lead, will provide a guided tour of these innovative experiences using emerging technologies around sound and real-time community generated content. You may even get to see yourself in the Library’s collection. About the DX Lab The State Library of NSW’s DX Lab builds and supports new ways of design thinking, experimentation and research with technology. The DX Lab team delivers creative, engaging and new ways to explore the Library’s collections, data sets and services through digital experiments. Existing and emerging technologies are used to build experiences onsite and online. The new library at Green Square has a 16-metre glass entry pyramid and seven-storey glass tower. The tower contains a music room complete with baby grand piano, reading rooms, community spaces and a technology suite, while the entry pyramid leads to the sunlit underground library with an open-air garden, amphitheatre and café.